I love to walk places together with my people, if I can. 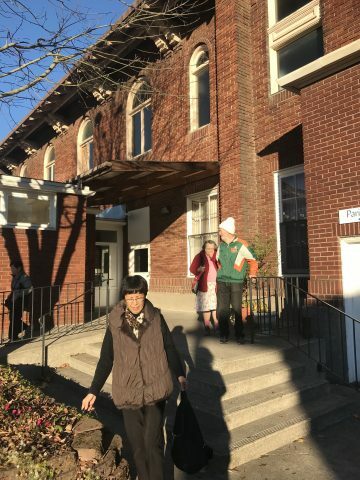 On this crisp fall sunny cold day, my dad and I and a friend of my parents walked to my dad’s church. We were all bundled up and cold and yet it was so awesome. I love this time with my dad. 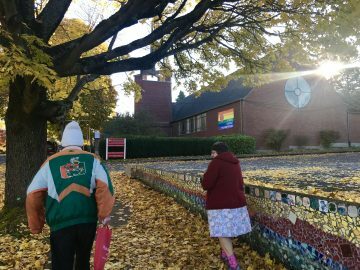 Walking with him the 20 minutes to 8 a.m. mass at St. Philip Neri Church in southeast Portland. The conversation, the connection, the crunching through the fallen leaves. It’s so everyday extraordinary. 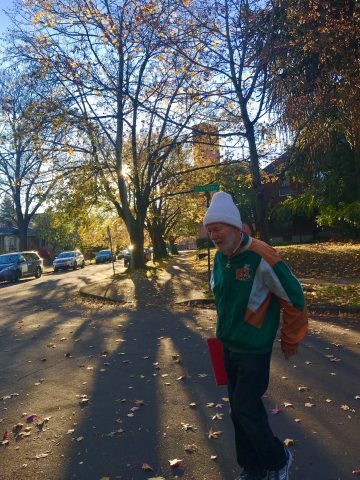 My old college School newspaper editor Terri Cetina says she sees my dad walking to church all the time as he passes by her house and she says it’s so cute. 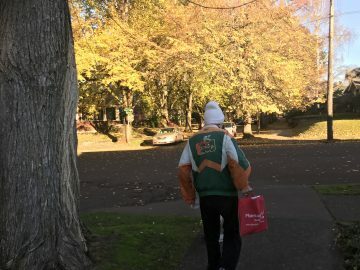 Yep, he’s part of this neighborhood, part of the community. When you walk, you are forced to slow down, to take in, to be part of, to breathe. 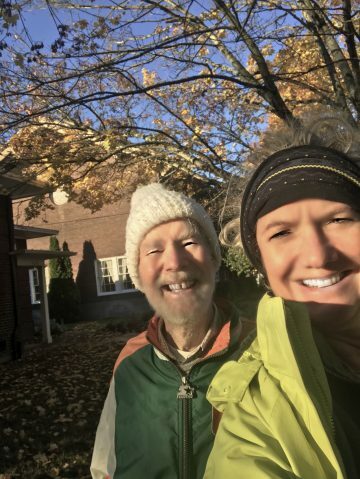 My dad is so cute because he has a Fitbit and he has to get his 10,000 steps in every day and he has contests with his grandkids to see who gets the most steps. Walking. It’s great exercise, it’s a great way to talk, its a great way to be part of place, right where you are. This is my 17th of 30 Days Of November HOW I MOM series, and it is of course not just how I Mom but it’s how I live my life, yep, and if you think about it, they are connected. Like the quote, how I live my days is of course how I live my life. Walk places together if you can.